When writing a novel, a good pitch is worth its weight in gold. Not only is it a good document to grab the interest of agents and publishers, it can help if you are self publishing too as it helps you stay “on track”. 1. Working Title. My title was picked by my agent, Julian Friedmann as BUT WHAT NEXT? This came from the manuscript itself. When they bought it, the publisher Rowohlt retitled it, GUT DECISION, which I love. (FYI – The series is now called THE DECISION in the English Language). 2. Genre. THE DECISION is a Young Adult (YA) novel series, aimed at females aged 14-20 years. Yes, be this specific. Agents and Editors hate it when writers say “suitable for all”! 3. Length. YA is typically in the region of 50-75,000 words, so I put this here. The novel came in at just over 62,000 words. Make sure you know what has “gone before” in the genre you’re writing in, don’t just pick a number out of thin air! 4. Target Audience (short paragraph, 100 words max): I wrote a short paragraph here in more detail about those 14-20 year old females. I wrote about what types of book, plus TV shows and movies they would like (thus cementing *why* they would like my novel). 6. Statement of Intent (1 page max). Think of this as the reason why you’re writing – like my last post. Remember: if you don’t believe in the message behind your writing, the readers won’t either. So work out what it is and why you’re writing this book. 7. Synopsis (half a page maximum). Here is where you write the premise behind your book and iron out any potential issues with the “story world” in advance. In Lizzie’s case, Lizzie is presented with ALL the possible scenarios of how her decision (“have the baby/don’t have the baby”) could play out, one per chapter. 8. Extended Pitch (2-3 pages). Here I gave a summary of each chapter: what happens; who’s in it; how it ends. There are five “main” chapters, plus a prologue and epilogue in the book. This provides the “framework” for your novel, if you like. 9. Character biographies. I gave the protagonist, Lizzie, the top of the page – then listed her “significant others”: what they were like, who they were to Lizzie and how they figured in the story. Lizzie is 17, so her Mum and Dad, sisters, best friend and boyfriend are all in there. That’s about ten “main” characters, so I took up two pages for this, but you can take less if you have fewer in your novel. Don’t go on for longer than two pages and don’t note peripheral characters, only those that are really important. 10. SWOT Analysis. SWOT stands for “Strengths – Weaknesses – Opportunities – Threats” and is often used in business to assess various projects and ventures. Here is a free handout as a Word document. SWOT is a useful tool to look at the development of your novel as well as “selling it off the page” to agents and publishers. For example, one of the Strengths of GUT DECISION was its female bias and the fact that unlike many contemporary YA novels it does not deal with the supernatural or an abusive relationship at its heart; a Weakness could also be its female bias! The fact I have such a large following online is an Opportunity in terms of marketing and so on. 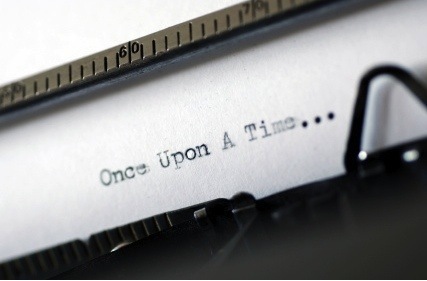 Concluding, a good pitch can not only save you a lot of heartache in writing your novel, it could help you sell your book to agents and publishers. So don’t skimp on your preparation! My #YA novel, THE DECISION: LIZZIE’S STORY is available in both English and German. Find them on My Amazon Author Page. Find links, humour, information and services for teenagers listed at The Decision Book Series or follow the character Lizzie on Twitter. Like what you see here? Then please check out my books and/or hit the buttons on the bottom of these pages and share them on your social media profiles. Thanks! Really nice tips. Wish I had used this! Lucy, this would appeal to a lot of writers. Would you allow us to feature it on our site? We do Friday Features and I think a lot of readers would appreciate this post. We’d of course link it back to your site. See our latest features there and see what you think. You can email me at editor@thewoventalepress.net referencing this post’s url. Wonderful stuff, Lucy. Many, many thanks!